Recently, I have found myself considering the subject of objectivity. Many years ago, as an employee of a large UK insurance company, one of my colleagues - a trade union rep - approached me and asked for my opinion on some pressing staff concern or other. He did so, he said because "I know you can be objective". This had never occurred to me as a quality I might or might not possess. I always understood that I was just slow. Not stupid. Slow. Now - reminded of this incident - and realising that objectivity (being able to step back and assess a situation 'in the round', even should it tell against yourself) is a family trait, I seem to discern that being objective is not a common quality ... at least not today. Maybe it was common currency in days gone by, but the 'Age of Reason' is now only mentioned as history. We live in the Age of ... what exactly? Certainly everything happens with such speed that Slugalug's like me are an anachronism. One does not need to be slow-witted to be discerning, but taking the time to consider a matter helps enormously. Witness President Trump's famous propensity for firing off a tweet to the world at large before his synapses have properly engaged. Even if he is a quick thinker, I doubt if he has considered fully. We can all be quick to judge one another, situations, words ... everything. Scripture tells us to judge not, that ye be not judged. Sound advice on any level, not just in a spiritual context. We like our opinions and become offended when others respond in kind ... or in not so kind. Fast subjective responses promote confrontation; a dangerous quality in any of us - particularly so if one is the most powerful leader on the planet. 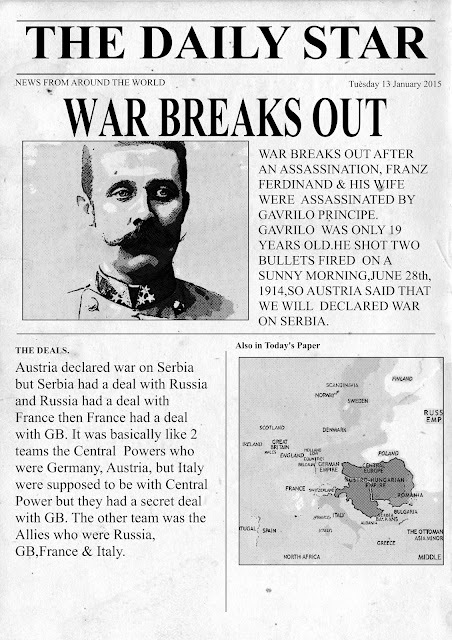 Remember Archduke Ferdinand? No, I didn't know him either, but his assassination in Sarajevo in 1914 sparked off the First World War and cost millions of lives. Today, it seems difficult to understand how or why. Yet it did. People are easily offended, volatile even. In their pride - our pride - we react without considering. I am not quick enough to start a global campaign (because as well as being slow I am also lazy), but I make this small plea now for selfless objectivity. Our civilisation - our survival - may ultimately depend on it.